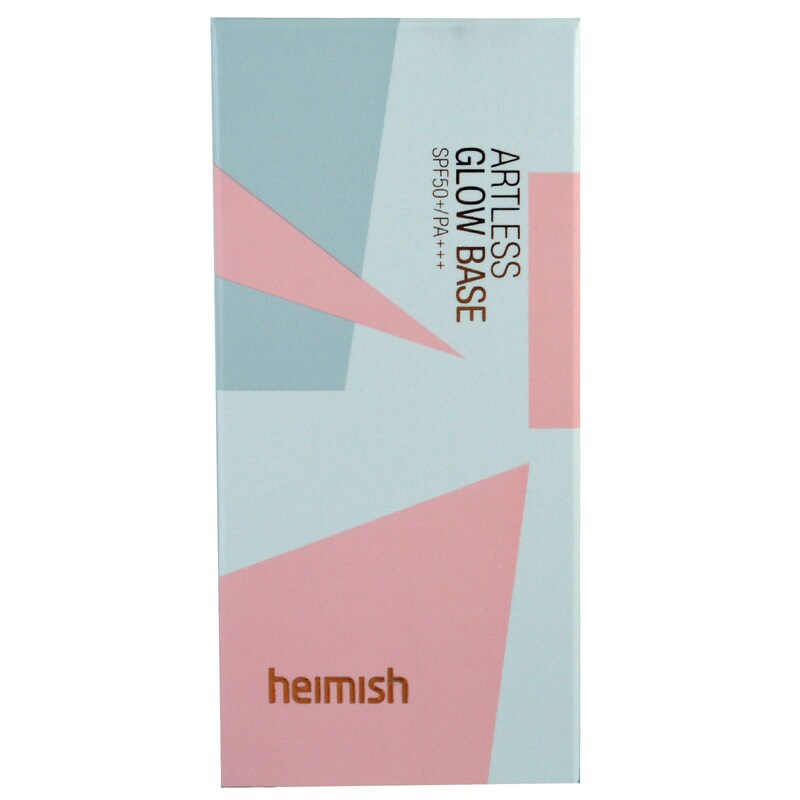 Glow base gives a luxurious glossy, bright and natural radiance effect as a soft and finely shining pearliness formula. 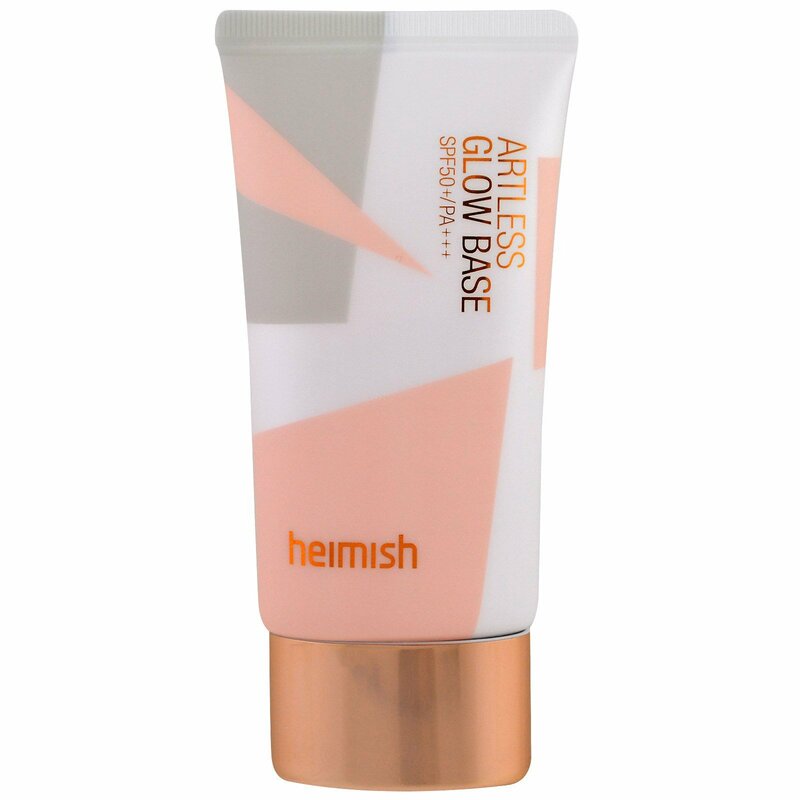 A makeup base that adds hydration, sun protection and brightness, the Heimish Glow Base turns skin looking luminous by reflecting light. 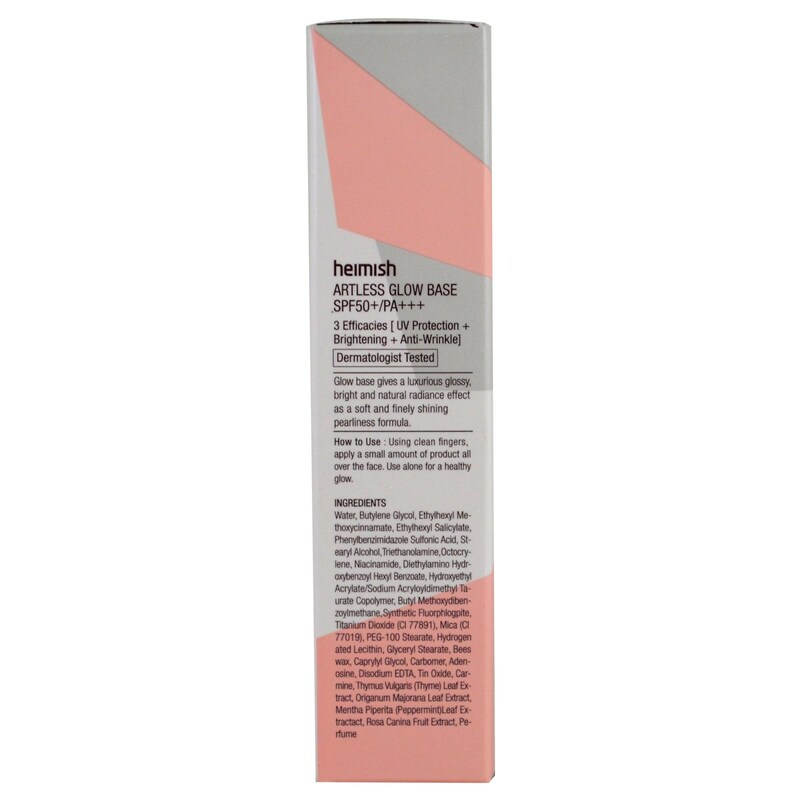 The weightless and moisturizing texture is easy for smooth and even application, leaving your skin soft and glowing all day. Mild botanical ingredients such as Rosehip fruit, Thyme extract, Origanum Majorana leaf extract, Peppermint extract nourish skin and improve skin’s elasticity. Perfect alone or under makeup. For all skin types. Using clean fingers, apply a small amount of product all over the face. Use alone for a healthy glow. Water, butylene glycol, ethylhexyl methoxycinnamate, ethylhexyl salicylate, phenylbenzimidazole sulfonic acid, stearyl alcohol, triethanolamine, octocrylene, niacinamide, diethylamino hydroxybenzoyl hexyl benzoate, hydroxyethyl acrylate/sodium acryloyldimethyl taurate copolymer, butyl methoxydibenzoylmethane, synthetic fluorphlogopite, CI 77891(titanium dioxide), CI 77019 (mica), PEG-100 stearate , hydrogenated lecithin, glyceryl stearate, beeswax, caprylyl glycol, carbomer, adenosine, disodium edta, tin oxide, carmine, thymus vulgaris (thyme) flower/leaf extract, origanum majorana leaf extract, mentha piperita (peppermint) leaf extract, rosa canina fruit extract, fragrance.